YOU'RE inundated with information, drowning in a sea of social media, and you don't know where to turn for relevant online information and discussion with your peers. Well, look no further, as Canadian Accountant presents five relevant LinkedIn groups for Canadian accounting and finance professionals (along with some honourable mentions). Popularity. Does the LinkedIn group have sufficient critical mass to drive relevant discussion? Canadian content. There's a plethora of accounting and finance groups on LinkedIn. But do they address Canadian issues? Discussion. Is the group spammed by lightweight articles or rich with discussion and debate? Moderator. Is the moderator a Canadian accountant or finance professional? Mission. Does the group stay true to its mission statement or does it muddy the waters? A no-brainer. Every CPA should belong to his or her national body's LinkedIn group. 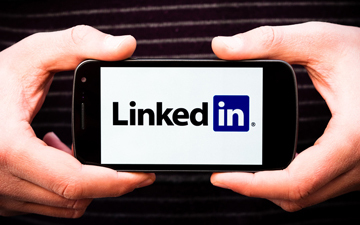 The CPA Canada LinkedIn page has a relevant mix of professional development seminars, job and volunteer opportunities, advocacy campaigns and guidance. Strictly a communications channel for the national body, however, as it lacks commentary and debate. Nevertheless, it's way ahead of the provincial body groups, which vary widely in engaging content. Yes, we started our LinkedIn group, launched on Canada Day, 2017. We threw the doors wide open to allow everyone who is either a professional accountant or "linked" to the accounting profession. It's easy to join and invite your connections quickly. This is the place for wide-ranging topics on everything from standards, taxation, the CPA program, work/life balance ... basically, anything to do with Canadian Accountants. So join the conversation! A small group that punches above its weight class. Moderated by tax lawyer and "CRA behavioural analyst" James Rhodes, Canadian Tax Professionals is a no-holds-barred forum for the tax questions and issues of the day. Here's where your Canadian tax questions are most likely to be answered, as well as where commentators like Hugh Neilson, FCPA, FCA, opine on the political and social implications of taxation in Canada. Open only to Chartered Professional Accountants and students pursuing their CPA designation, Professional Accountants of Canada is "a place where Canadian Chartered Professional Accountants can connect with one another to discuss current financial and tax issues." Moderated by Dave Hurme, CPA, CA, indirect tax senior manager, B. Hoffmann & Associates Ltd., in Milton, Ontario. A LinkedIn Leviathan, Finance Club is the networking group most popular with CPAs and accountants around the world. The Finance Club "focusses on helping finance professionals to grow their industry network, enhance their career and close more deals," and its content, while uneven, dwarves the vast majority of accounting and finance-focused LinkedIn groups. Finance & Accounting and Social Media, 32k+ members. Association for Accounting Marketing (AAM), 4k+ members. Chief Financial Officer (CFO) Network - The #1 Group for CFOs, 366k+ members. Finance Plus: Private Equity, Venture Capital and M&A news, 450k members. The Bookkeepers Club. 64k+ members. Focused on specific questions related to bookkeeping. Accounting Professionals Canada. 2k+ members. Works in partnership with Microsoft. How did we do? Do you have a group you'd like to suggest? Leave a comment below and share your feedback on 5 LinkedIn groups for Canadian accountants.